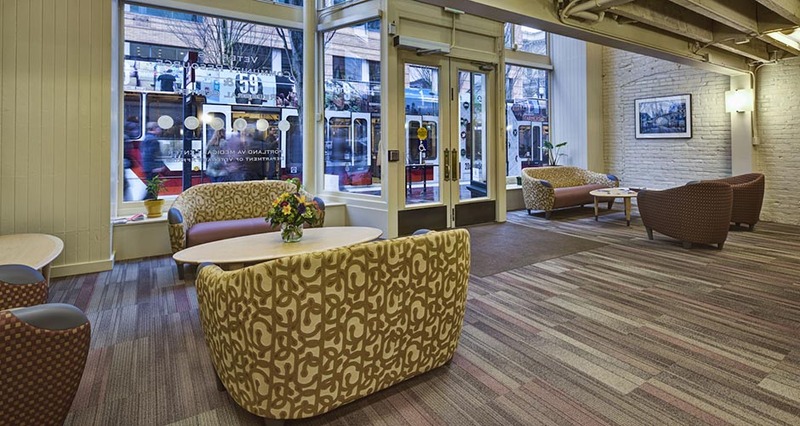 Mackenzie provided tenant improvement services for a VA Community Resource and Referral Center in downtown Portland. 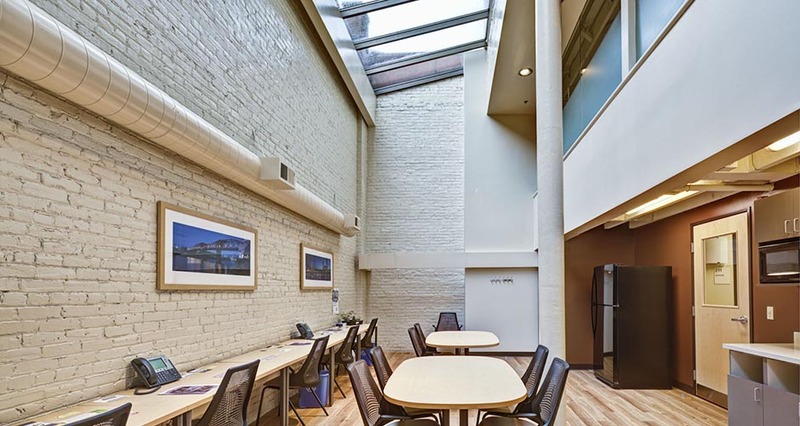 This Center serves as a resource for homeless and unemployed veterans. 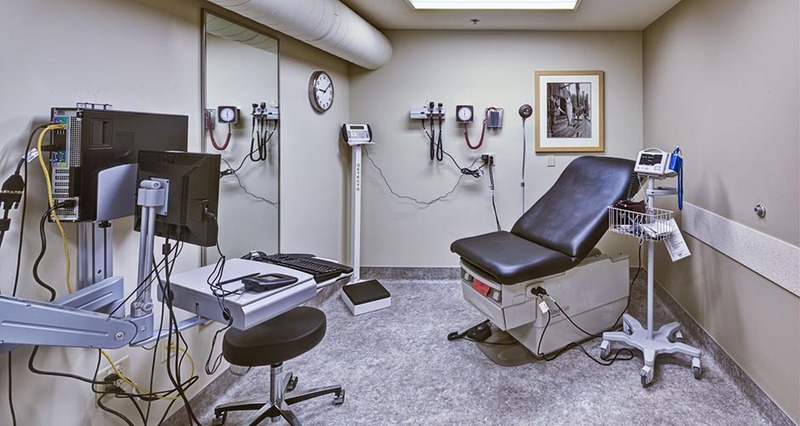 This space includes offices for community outreach partners, mental health providers, primary care providers, exam rooms, classroom space, and social space. 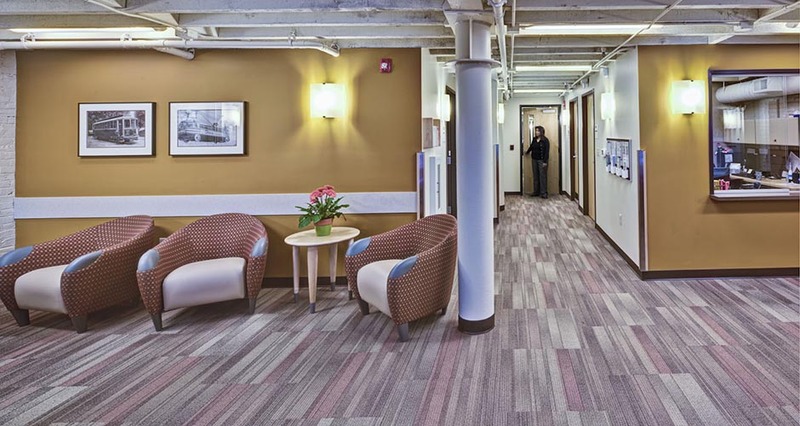 A warm color palette promotes a welcoming environment.